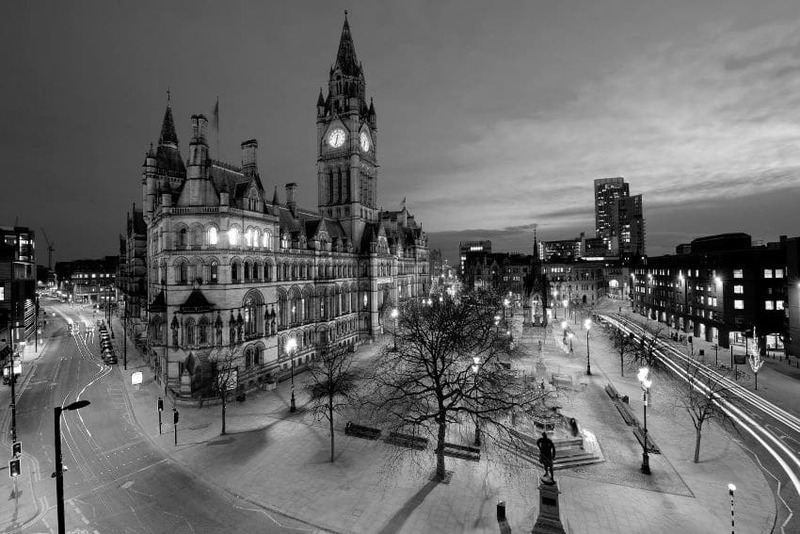 Manchester is one of the most famous cities in Europe, and is right behind London and Edinburgh when it comes to attracting tourists every year. It is no surprise that Manchester has proven so popular with travellers from all over the world as the city is home to John Rylands Library, Manchester Art Museum, and of course, Old Trafford. Ask anybody involved in the paranormal scene across the United Kingdom and they will tell you that along with being a mecca of art and culture, Manchester is also one of the most haunted cities in the UK. Some residents of Manchester may find that hard to believe, but there are dozens, perhaps even hundreds, of documented incidences of paranormal activity in the city. 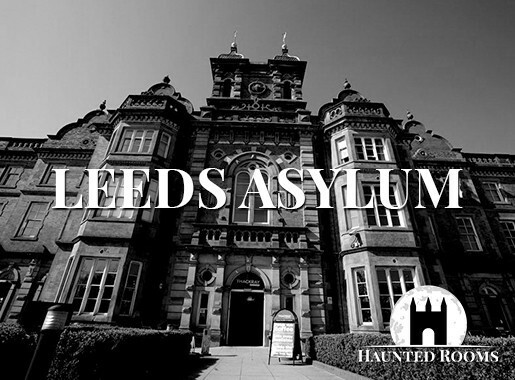 Let us now take a look at five of the most active haunted places in Manchester. Manchester Cathedral is one of those buildings which you can appreciate regardless of your religious beliefs. Believers will obviously delight in being able to worship their Lord in surroundings which seem fitting for The Almighty, while those who are not so religious will at least enjoy the impressive architecture and breathtaking scenery inside the church. Because of the sheer beauty of Manchester Cathedral, it is easy to forget that the cathedral was very nearly destroyed during the second world war. It may also be easy to forget that Manchester Cathedral has a long history of paranormal occurrences. 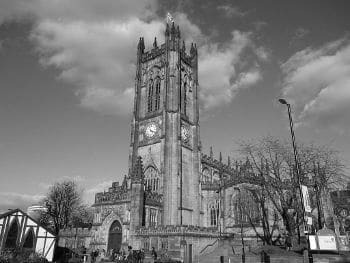 There are a great many ghost stories associated with Manchester Cathedral, the most famous of which focuses on an unnamed man and his sister, Fanny. As the story goes, the man was praying in the building one evening after all other churchgoers had gone home. Mid-prayer, he was shocked to see his sister, Fanny, standing at the top of the cathedral, as he believed that she was many miles away. Assuming his sister had come to Manchester to surprise him, the man rose to his feet and called out to her, only to see her vanish before his eyes. The following morning, he was informed that Fanny had passed away the previous evening. Manchester Cathedral and the surrounding area are also said to be haunted by a demonic giant hound, who some paranormal enthusiasts may recognise as Black Shuck. Black Shuck is believed by many to be a creature of the underworld and a sign of impending death, which seems to work nicely with the story of Fanny. Being a resident of Wardle Brook Avenue in Manchester cannot be an easy task. The events which occurred at house number 16 at Wardle Brook Avenue still hang over residents of the area despite the fact they occurred half a century ago and were perpetrated solely by an infamous couple, who we will discuss in a moment. The acts of one dastardly twosome have made it almost impossible for residents of Wardle Brooke Avenue to speak to somebody without the other party desperately reminding themselves “don’t mention the murders”. As if that stigma wasn’t enough, residents of Wardle Brook Avenue also claim to have to put up with never ending paranormal activity all thanks to their former neighbours. Between July 1963 and October 1965, Myra Hindley and Ian Brady kidnapped, tortured, and murdered five children. The battered corpses of four of their five victims were discovered in shallow graves on Sandleworth Moor, which led their disgusting acts to be labelled “the Moors murders”. 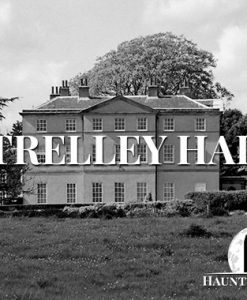 Hindley and Brady lived together in number 16 of Wardle Brook Avenue and decided to take up murdering children as a means of, you know, strengthening their bond as a couple. When the two were finally captured by police – Hindley’s brother-in-law informed authorities after witnessing one of their murders – they were taken to court and sentenced to life imprisonment. It was during their early days behind bars that the residents on either side of 16 Wardle Brook Avenue began reporting deafening cries coming from the home late at night, cries which sounded as if they were coming from a number of tormented children. 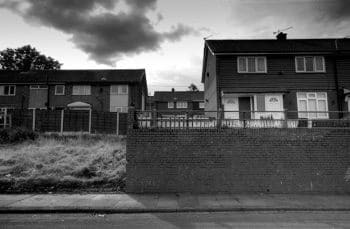 Though the home was bulldozed some time ago, residents of Wardle Brook Avenue still swear the sound of crying children is a regular occurrence, and it is unlikely that the paranormal activity will cease any time soon. 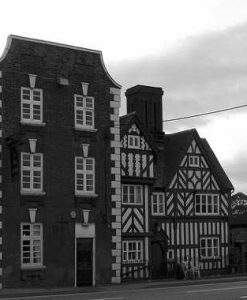 Wardley Hall is one of the oldest buildings in the North West and among only a few to be mentioned in the Domesday Book. 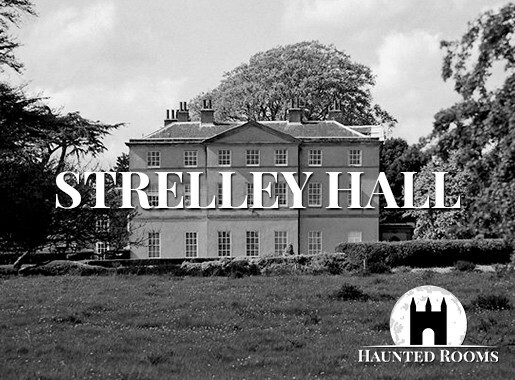 While it is today known as Wardley Hall, the building spent the first 200 years of its existence as “Skull House”. According to legend, Skull House took its name from a skull which simply refused to be buried on the site. The skull in question was believed to be that of St. Ambrose Barlow, who was killed in 1641 for the simple act of being a Catholic priest. At one point, exhausted by the numerous failed attempts to bury the skull, the owners of Skull House tossed it into the moat which surrounded the grounds. However, a devastating storm took over the land shortly after and the moat had to be drained so the skull could be retrieved before another proper burial was tried. Despite its reputation as a paranormal hotspot, Wardley Hall is today the property of the Roman Catholic Church, and is the residence of the bishops of Salford. There have not been a whole lot of reports of paranormal activity in recent years, but that may have something to do with the religious presence. 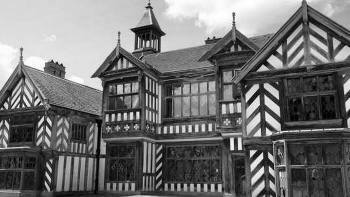 The 16th Century Wythenshawe Hall has a near overwhelming history, even for a building which is 500 years old. The property was built by Robert Tatton and remained in the Tatton family for 400 years, although it was very nearly lost during the 1640s when Oliver Cromwell’s forces seized the building from Robert Tatton’s grandson. Wythenshawe Hall was eventually handed back to Robert Tatton (also the name of Tatton’s grandson), but not before he was charged a needless and outrageous fine. 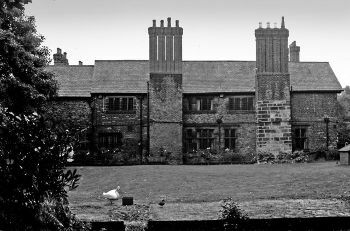 The ghosts of Wythenshawe Hall are as plentiful as they are disturbing, and a frequent sight is the spirit of Mary Webb, who was a servant at the hall during the time of the Cromwell invasion. Webb, along with her fiancé, died in the struggle for Wythenshawe Hall following the invasion of Cromwell’s men, and she is often heard sobbing throughout the home. Webb’s spirit was once seen crying by a mother and daughter who were visiting the hall. The pair took pity upon the woman (who they believed to be alive) when they saw her travelling down a corridor, weeping to herself. Wanting to comfort Webb , they followed her down the hall and into a room which she had entered. Upon entering the room themselves, the mother and daughter found that the weeping woman had completely disappeared. Wythenshawe Hall has also been the site of much poltergeist activity. Though it is unknown just where the poltergeist came from, it is possible that it is the spirit of one of Cromwell’s men, causing just as much trouble in the afterlife as he did during his time on Earth. Visitors to the home have reported being pinched, touched, and pushed by an unseen force, and heavy footsteps are often heard coming from empty rooms. There have even been reports of gunshots echoing throughout the building. 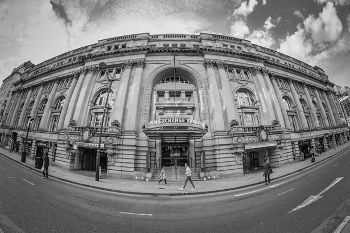 There has been a Royal Exchange Theatre in Manchester in some form or another since 1729. That is not to say, however, that the Royal Exchange Theatre which today is ranked as a Grade II listed building is the same building which opened over 200 years ago. The original Royal Exchange Theatre closed its doors before the end of the 18th Century, only for a new theatre to be opened in 1809. Construction of the third Exchange began in 1867 and by the 1930s, the theatre boasted the largest trading hall in the United Kingdom. The building fell into a state of disrepair after World War Two and was very nearly demolished in the 1970s, before it was purchased by a theatre group and became the theatre we know today. Damaged by bombings at the hands of both the German army and the IRA, the Royal Exchange Theatre has often been the scene of chaos. This, along with the multiple renovations to the building, may explain the many eerie occurrences and supposedly paranormal events which have been witnessed at the theatre. Of the many ghosts familiar to the staff and visitors of the Royal Exchange Theatre, one of the less threatening entities is the spirit of James Maxwell. During his earthly existence, Maxwell was a devotee of theatre and drama and was praised for his performances in The Doctor’s Dilemma, Blithe Spirit, and the BBC television series Shadow of the Tower. Maxwell was essential in re-establishing the Royal Exchange Theatre as a prominent location in British theatre, so it is not all that surprising that he insists on sticking around the ensure the building is handled correctly. The greenroom, which is where actors generally spend their time before going on stage, is purported to be haunted by a handsome man clad in an expensive suit and a blonde lady so glamorous that she would not be out of place in a black and white Hollywood film. It is unknown just who the ghostly couple are, but the general consensus is that they were involved in one of the various productions staged at the Exchange over the centuries.